Cortana, as the name suggests, has got various powerful features which has made computing easy with Windows 10. It helps you search anything on web at such ease and also provides you with timely information. In fact, it is a personal assistant for Microsoft. Once you dig in deeper into Cortana, there are various other hidden features in it that makes it sound cool. 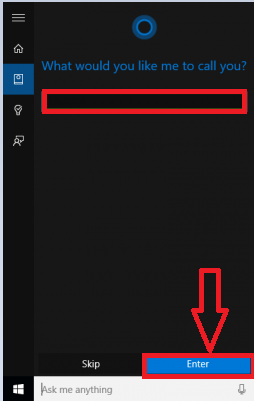 There are easier ways to send mail and set remainders using Cortana. It guides you with the current timings and weather, and lets you get data based on your region.There are certain applications in your system for which Cortana calls you by your name. Though you might change your name legally, for a little bit of fun, you would want your personal computer to call you by a different name. 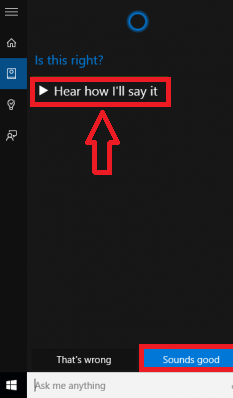 Cortana does just that. You can change your name in it, and from then on, in any occasions where there is a need to address you, it calls you by the name you had set for it. 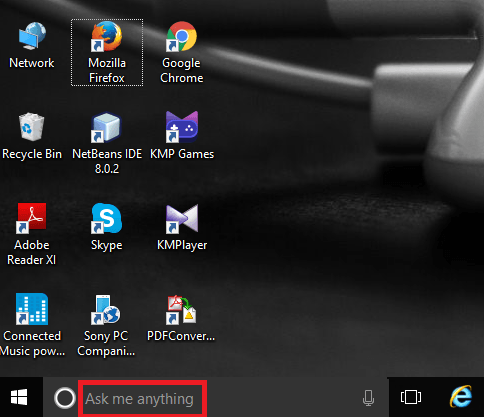 Here, we provide you with the steps onto how to change your name using Cortana. 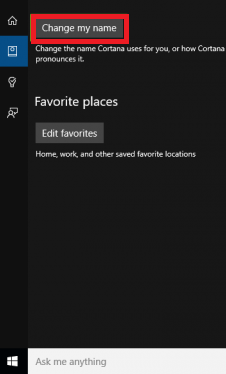 If you want to make use of Cortana, you have to ensure that your region supports it. If not, you can change your region to one that supports it under the options Time and Language in Settings menu. Navigate to the Start icon in the taskbar which exists in the bottom left corner of the desktop. You find next to it, Ask Me Anything. Click on it. 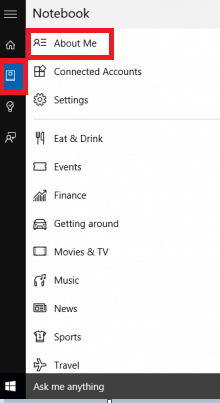 Note that, if you see Search the web and windows or Search the windows option next to it,then your region doesn’t support some Cortana features. Towards the extreme left, you will find four icons from top to bottom. Click on the notebook icon just below the icon which denotes the home page. When you click on it, you will find toward the right a list of options like Settings, Eat and drink, About me, etc. Click on the very first option, About me. When you do that, the next tab pops up. On its top, you will find an option called Change My name. Click on it. It would ask you for the name you would like it to call for you.Type on the prompt box below it, the name you want. Click the Enter option.Now, you get an option to hear how it pronounces it by clicking on Hear how I’ll say it. If you feel satisfactory, click on the Sounds good option and from now on ,it calls you by your name. Try it out and feel the change!